A timely international thriller by the former deputy assistant secretary of state and bestselling author. When four American sport fishermen stray into Cuban waters and are promptly arrested by Castro's navy, State Department crisis manager Judd Ryker finds himself called in to negotiate their release. But the more Ryker digs in to the situation, the more things he discovers that just don't seem to fit, especially now, with relations between the United States and Cuba supposedly thawing. Who are these men really, and what were they doing there? What is Ryker's actual mission, and what is his own government hiding from him? Some people want the new initiative to succeed. Others want to stop it at any cost. Still others see it as an opportunity for something much more radical. The common factor for every one of them: the time to act is right this minute. 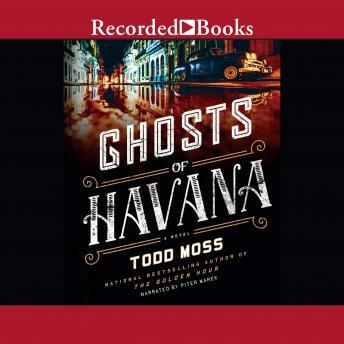 The ghosts of Havana are walking, and Ryker is caught in the middle of them all.